Back in 1968 Mt Newman belonged to the Hedland parish with monthly services being held in community buildings. But in 1970 Newman became the centre of a new parish renamed in 1974 as the Parish of East Pilbara. During 1971-2 members of the British royalty visited Newman and joined with parishioners for a church service. The land where the church building and rectory are currently located was obtained in 1982. During 1986 the parish was again renamed as the Parish of Newman. Through the support of St Stephen’s Anglican Church in Willoughby, NSW and the Outback Church Foundation the present multi-purpose St Stephen’s was constructed and opened in 1988. 9.00am: We meet each week at St Stephen’s Anglican Church, Newman. As a church we are committed to the Bible and so our times of meeting together have teaching the Bible at their centre. We also provide a Sunday School for children. After the service we meet in the same building for fellowship and morning tea. Roger grew up on the south coast of NSW but married into a WA family. They moved to Newman in December 2017. He is married to Amanda and they have 3 children: Ada, Eliza and Benjamin. 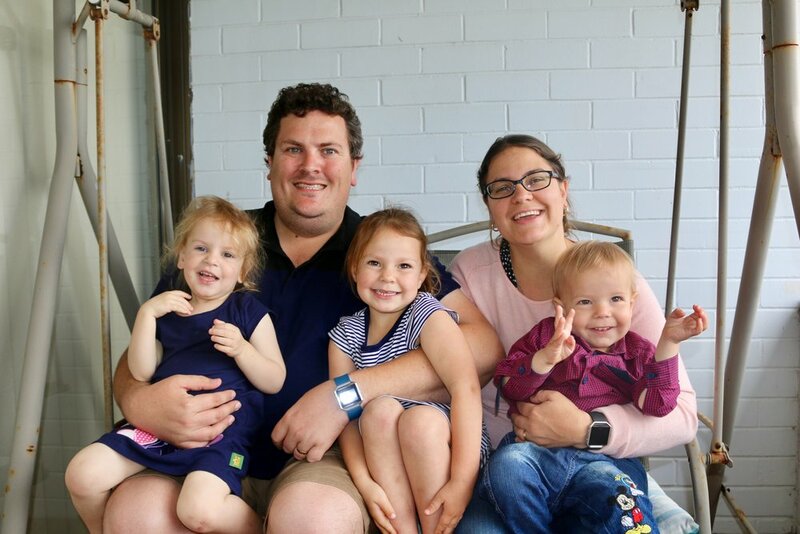 Roger has previously served in the Sydney Diocese parish of Windsor and in the St George parish, Bluff Point of the Diocese of North West Australia.